His motion is beautifully articulated. It echoes many of the points we make here on the SWLing Post about why shortwave radio is still a vital national and international resource in the Internet age. My concern is not that CBC senior management decided to reduce RCI’s budget. I would have preferred that CBC had not received a 10 per cent cut. Facing a 10 per cent cut, however, it is understandable that CBC management sought economies in the corporation. My concern is that, when a 10 per cent cut in the core grant produces an 80 per cent cut in one service, a vital and important international service, someone has made a focused and direct choice to target one aspect of the network for effective shutdown. While the management and the board of the CBC are and should be at arm’s length and while they make their own choices, that does not mean that they are not accountable for the choices they make. One area of accountability should be facing questions from this chamber, as well as the other chamber of Parliament, when necessary. Again, his full motion (below) makes a well-rounded argument that RCI should not have been cut and the decision lacked accountability. The timing of Senator Segal’s motion coincides with a very successful petition that asks the Misters of Heritage and Public Safety to stop the dismantling of the RCI Sackville transmission site. Please, if you haven’t already, sign this petition and share it with your friends and radio networks. (b) short wave radio in oppressed regions worldwide that are denied access to the Internet. He said: Honourable senators, I move this motion as a friend and supporter of Radio-Canada International but also as a friend and supporter of public broadcasting in Canada. It was in 1985, after the election of the Mulroney Progressive Conservative administration, that a group of Canadians from different walks of life, including Adrienne Clarkson; Peter C. Newman; Lois Wilson, the former moderator of the United Church of Canada; Keith Morrison; the Rev. David MacDonald; David Suzuki and others gathered to form the FRIENDS of Canadian Broadcasting to organize, advance and protect the role of public broadcasting in Canada, including Radio-Canada, CBC, TVO and others. It was a privilege to be a part of that group. The fact that the Mulroney Progressive Conservative administration increased the amount of CBC TV networks, built a new state of the art broadcast headquarters in Toronto, made other investments in the CBC and Radio-Canada and began the important commitment to TV5 speaks to the broad and non-partisan place of public broadcasting in the mixed market economy and pluralist society that Canada has become. I would like to congratulate Senator Andrée Champagne, who is part of this government, and Senator Marjorie LeBreton, who was the Deputy Chief of Staff to the Prime Minister at the time. Both have made a great contribution to this important area. When a shortwave service, which has been serving the Canadian ideal, Canada and the world, is closed after 67 years, this is not a trivial administrative decision. When a service that could reach around the world is cut to an Internet-based service that will be accessed by only a fraction of the world and only the wealthier fraction at that, this is not a trivial decision. When the separate programming base that produced a global Canadian program mix for RCI, which was shaped for an international audience, becomes a derivative, Internet-based, repeater station, that is also not a trivial decision. Did anyone afford listeners or Canadians generally a policy paper or plan of action before the announcement was made? No. Were different options for RCI discussed internally? No. Was there a plan to see if different Canadian broadcasters might wish to collaborate on a reconfigured international service? No. Acting as ruthlessly and capriciously as a private broadcaster that only matches mission with income and avoids more challenging missions might be the CBC’s idea of the rational way ahead. However, if they are going to cut and slash as a private broadcaster might, why do we need a public broadcaster? If it is all about news, hockey and the bottom line, there are private broadcasters who can fill this role at an even greater savings to the Canadian taxpayer. That would not be what I would ever hope for. However, every time the CBC pretends to have no greater duty to its audience than a private broadcaster might, it is the CBC that validates the private option. I believe that a committee of this chamber or a Committee of the Whole, as is in the motion, might well call the CBC management before it to address a few questions that fly in the face of this CBC management decision. I will conclude with these brief questions. Why has RCI been on the CBC’s own cut agenda since 1991? 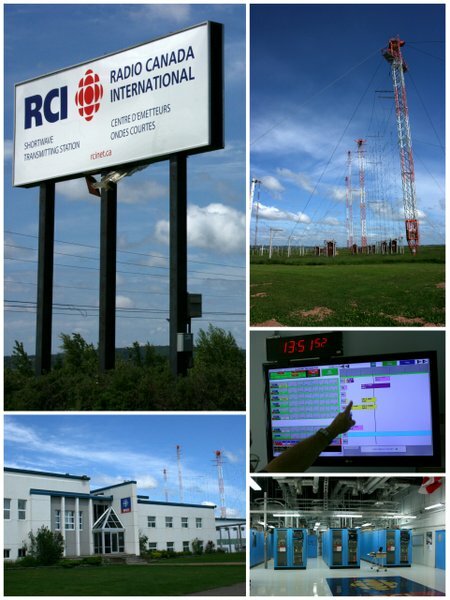 What are the foreign and trade policy impacts of denying China Radio International use of our transmitters, which will happen when Sackville is closed? What are the implications of that? When was the decision made to let them use our facilities and at what cost? Will CBC management consult with the broader community, including the residents of Sackville, New Brunswick, with respect to the disposition of those transmitters? Why did we have fewer program hours on our international shortwave service, long before the cuts, than the BBC, Voice of Russia, Deutsche Welle, Radio Cairo, All India Radio, NHK World Radio Japan, Radio France Internationale, Voice of Turkey, Radio Pyongyang, Radio Bulgaria, Radio Australia, Radio Tirana, Radio Romania International, Radio Exterior de España, RDP Internacional, Radio Havana and Radio Italia. Shortwave service and listeners are increasing massively, according to the BBC. In China, production of shortwave radios cannot keep up with demand worldwide, Grundig’s production cannot keep up either. Yet we are exiting this medium of transmission. Why? There is no limit to who can listen to shortwave, yet world Internet usage, while growing, has no such potential or present reach. In Africa, less than 20 per cent have access to the Internet. In Asia, it is less than 30 per cent. In the Middle East, it is less than half. In developing countries, the percentage is even higher. When dictatorships do not like a message on the Internet, they simply block it, as RCI’s message is now blocked in the People’s Republic of China and was blocked by the former Egyptian regime before a form of democracy ensued in that country. Does the end of creative programming for the international community represent a CBC decision that the international world no longer matters to the CBC or to Canada? Was there no middle ground, no more modest cutting scenario possible, aligned with the actual 10 per cent cut as opposed to the shutdown? Was an 80 per cent cut the only rational option? Honourable senators, I commend the motion before you for your consideration and assessment and hopefully your engagement and debate. I know that there are cultural and artistic aspects that I have not discussed but that others are planning to, with more expertise than I could bring to bear on that issue. I look forward to others participating either in the debate on this motion or before hearings that may occur based on its provision. It may well be that CBC management has decided to move on, to make RCI and its message of freedom, dissent, diversity, democratic debate and robust cultural creativity a thing of the past. I would hope that when arrogance reflects no will to consult, no will to array options, no openness to look for less draconian solutions when it crests on an issue like this, even within a proud, compelling and high-quality public broadcaster, which the CBC is, at least in this chamber there will be some will to ask some very tough questions. This entry was posted in Broadcasters, News and tagged Canadian Senate, CBC, Hon. Hugh Segal, Radio Canada International, Radio Canada International Cuts, RCI Cuts, RCI Petition, Sackville Closure, Senator Hugh Segal on October 26, 2012 by Thomas. Once touted as the “Savior of Shortwave,” Digital Radio Mondiale has not lived up to its hype. Proposed in 1988, with early field-testing in 2000, inaugural broadcasting in 2001 and its official rollout in 2003, DRM has had a lackluster career over the last decade. With the allure of FM-quality audio and fade-free operation, it had appeared that DRM might revive the shortwave community. Unfortunately, it has been overcome by other events, some technical and some social. The main weakness has been alternate sources of information and entertainment, fueled by the very technology that gave DRM hope. Additionally, in areas of the world without ubiquitous social media, DRM has yet to realize receivers at a moderate cost with adequate battery life. The very processing technology that allows improved operation using the more complex DRM waveform costs more and consumes more power than the standard AM receiver. A quick look at standalone DRM receivers over the past decade shows almost a dozen companies entering the market, only to retreat when the promise didn’t materialize. The article then goes into an in-depth look at both the reasons for and technology behind Digital Radio Mondiale–both on the broadcasting and receiving ends. Read the full article at Radio World’s website. This entry was posted in Articles, Broadcasters, Digital Modes, DRM, Shortwave Radio and tagged Digital Radio Mondiale, Digital Shortwave, DRM, Shortwave Radio, Shortwave Radio Technologies on October 22, 2012 by Thomas. This black and white film was made in 1968 at the moment when Philips shipped two 300 kW transmitters from the factory in the Netherlands to the island of Bonaire, then part of the Netherlands Antilles. The film had no sound – I just thought the music fitted for an internal presentation because it does look as thought they are building a secret rocket launcher for Dr Evil rather than a shortwave relay station to improve the audibility of Radio Netherlands in the Americas and West Africa. I’m guessing that this film was used for promotional purposes by Philips since the shipping containers carry rather obvious ads plastered on the containers. The Building of Radio Netherlands Bonaire Relay Station from Jonathan Marks on Vimeo. This entry was posted in Broadcasters, Radio History, Shortwave Radio, Videos and tagged Building RNW Bonaire, RNW, RNW Bonaire on October 21, 2012 by Thomas.